More important than ever for college students is the need for an online presence in the name of job hunting, as evidenced by the most recent stop of the WayUp Tour to Kingston on Monday. WayUp, formerly known as Campus Job, is based in New York City and operates as a web-based platform designed primarily to help college students find internships or jobs across the United States. WayUp offers job listings for major companies like Google, Snapchat and the Make a Wish Foundation. They also have jobs which can be done from home in fields like web or graphic design, according to WayUp’s Director of Partnerships, Michael Wieder. 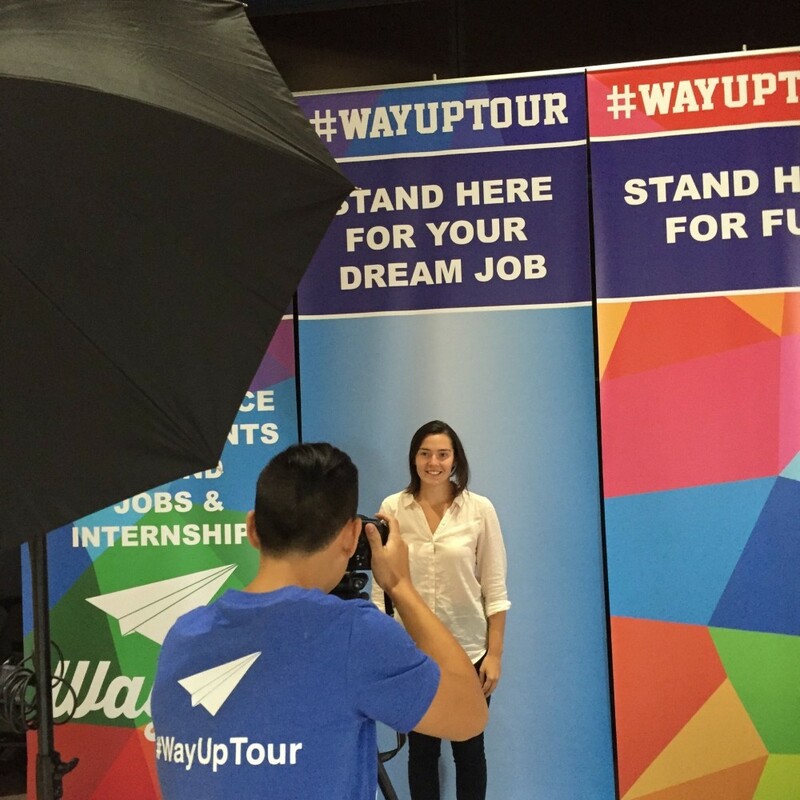 Students, through WayUp’s campus visits, can take a free headshot which it is then emailed to them through a link that takes them to their already created profile. From these profiles, students can apply for positions that are all active, unlike sites like Craigslist which leave up “dead” postings of jobs that have already been filled. Furthermore, job postings are internal to the site, meaning that links do not take users from WayUp to external websites. WayUp also only needs to be filled out once, similar to the Common Application used by students to apply for places of higher education. The median amount of time positions on WayUp stays up on the site is 52 hours and, in addition, one of every three students who applies for a position on WayUp gets it, Wieder said. “If you see a job that you want, you better apply because that job might not be there tomorrow,” Weider said. Monday’s visit was the first for WayUp to the URI campus and focused on giving students a professional headshot for not only their profile on the company’s site, but also for use on any platform. According to Wieder, the student’s first perspective also saves the average student a shot at their wallet. The estimated value of a professional WayUp headshot is approximately $100 according to Wieder, whereas getting a professional headshot done in place like New York City can cost $300 or more. 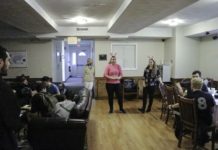 In this environment coordinated by Wieder and aided by on-campus representatives, WayUp also strives to be somewhat less than normal. As opposed to the practices of a normal photographer, studio organizers bring games like corn hole, prizes and even a GIF maker for interested students. The WayUp will continue their tour of campuses for the next couple of weeks passing through 31 other schools such as the University of Connecticut, Colby-Sawyer College and Suffolk University before heading south to Virginia and then back to New York. By the end of the month, the company plans to unveil a mobile application for smart phone and tablets.